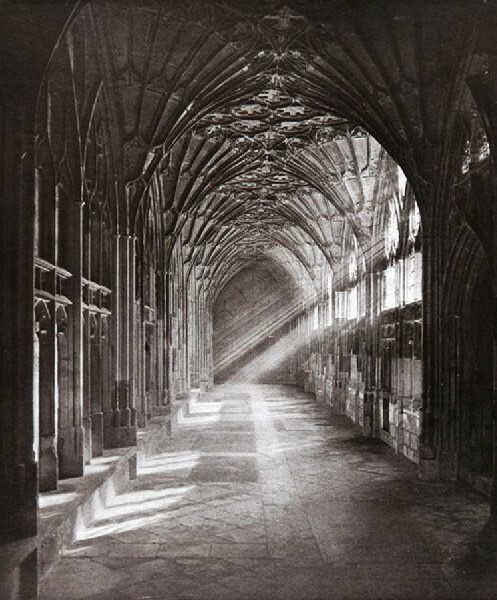 Larry Murray submitted â€™Cloisters as passageways through time and space.â€™ Photo: S.G. Kimberly, 1907. ’Sacred Duty,’ oil on canvas by Pennie Brantley. 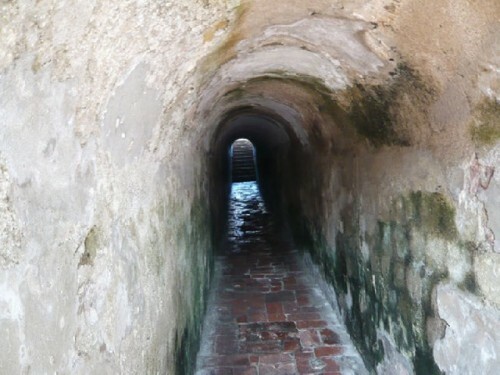 Secret passage San Felipe Fortress, Colombia. Photo: Zeren Earls. 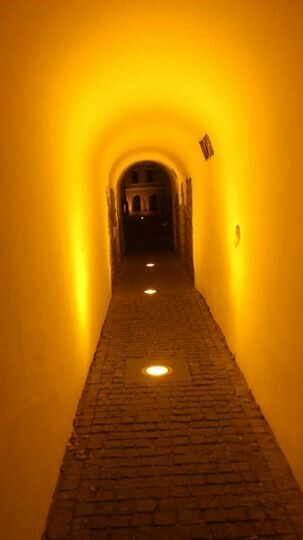 ’ The Tunnel of Love,’ submitted by Katherine Borkowski-Byrne. Appropriated from and for Ukraine. 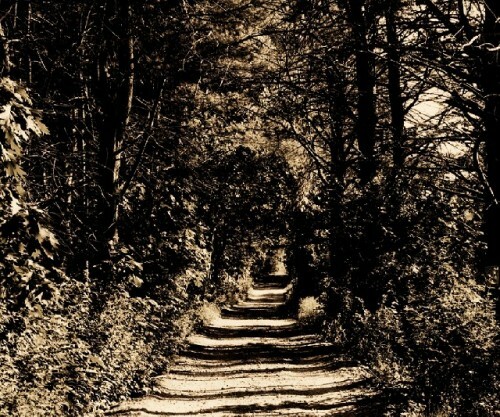 ’Sentimental Passage’ by Jane Hudson. Private road on Bartol Island, Freeport, Main. Her parents’ home - no more. 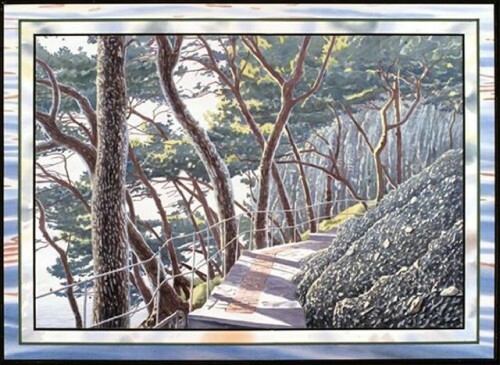 ’The Path, Woods Hole, Cape Cod, Massachusetts,’ oil on canvas, by Jon Goldman. 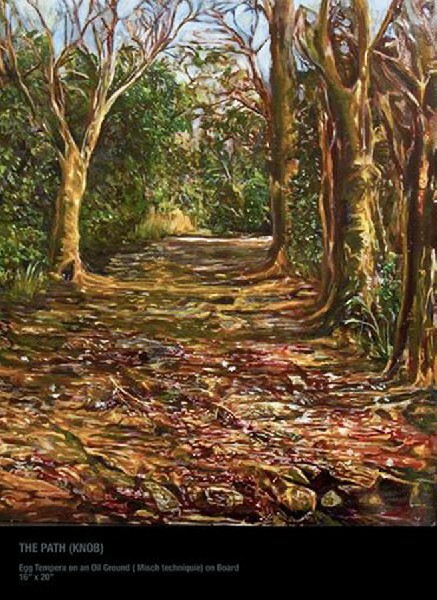 â€™Beneath Beyond Into,â€™ oil on canvas by P. Brantley. 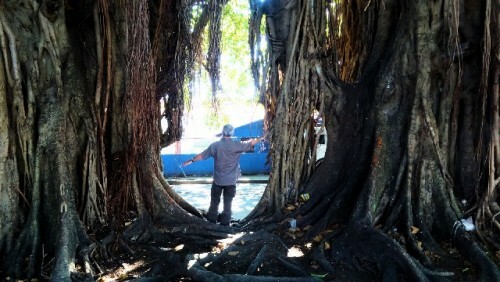 Cienfuegos, Cuba - passageway between huge ficus trees. Photo: Jean-Marie Delverdie. 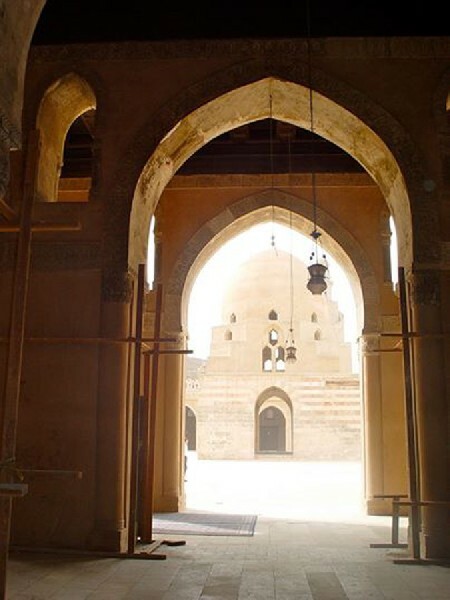 Ancient Mosque in Cairo, Egypt, dates back to 9th Century. Photo: Mark Favermann. 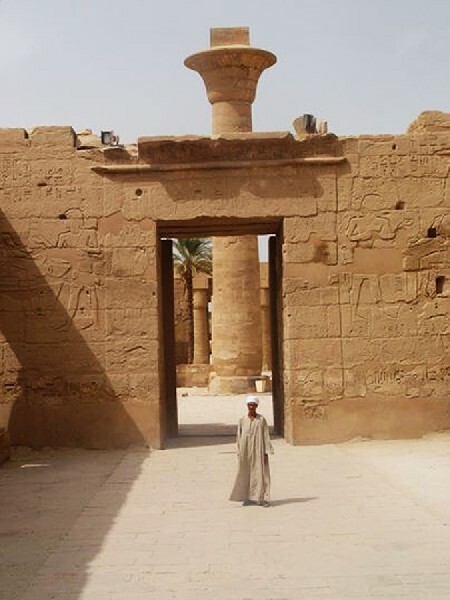 At Luxor Thebes, Egypt, by M. Favermann. 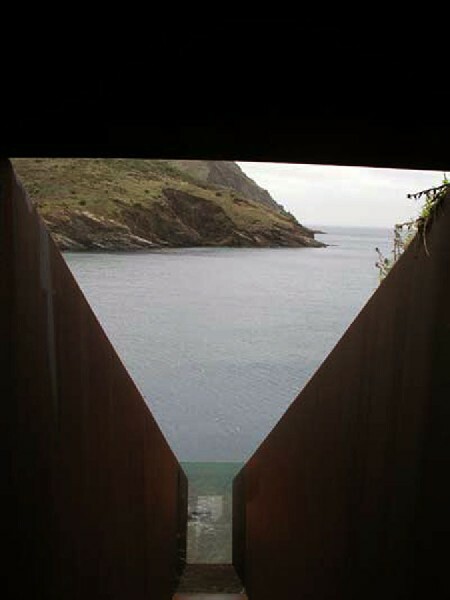 â€™Passages,â€™ 1990-94 by Dani Karavan, iron sculpture and Memorial in honor of Walter Benjamin, near Perpignan at Mediterranean Sea. Submitted by Maryse Roumengous. 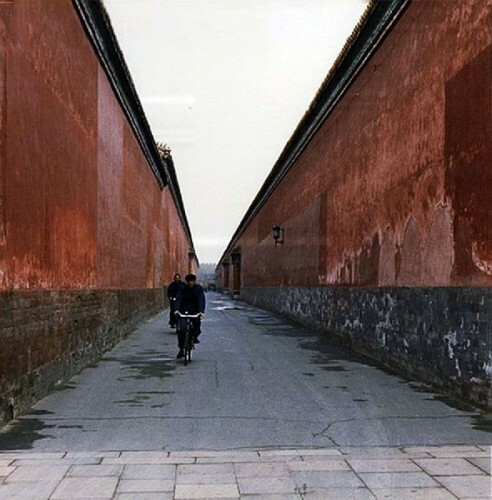 Two factory workers in Beijing, China, on their way to work. Photo: L. Murray. 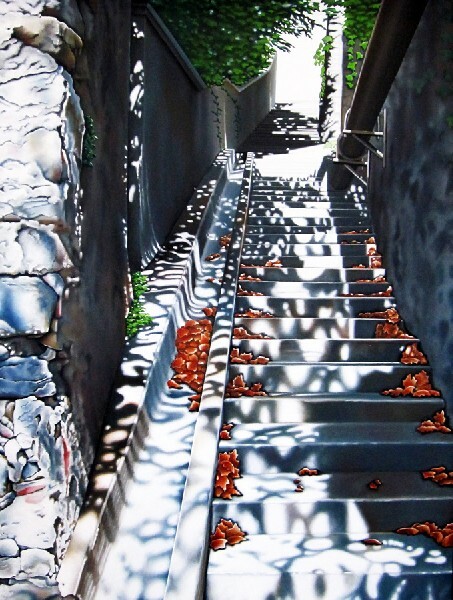 â€™Sun Shadows and Leaves,â€™ staircase in Paraza, France. 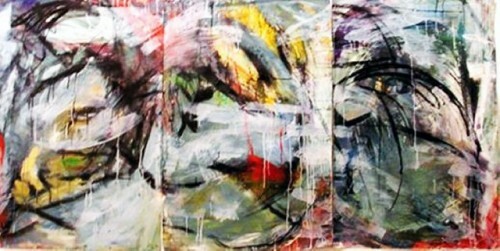 Exhibited as a diptych with lead image by A. Hiemer. Martha Flood combined in a photo-collage grand motherâ€™s painting and above stair case. She's treasured the painting for decades. Dorothea Fleiss: â€™TO BECOME ART - is in us and our soul is dancing. Thoughts, Inspiration, Fascination, Emotion, Emotion....â€™till Infinity. 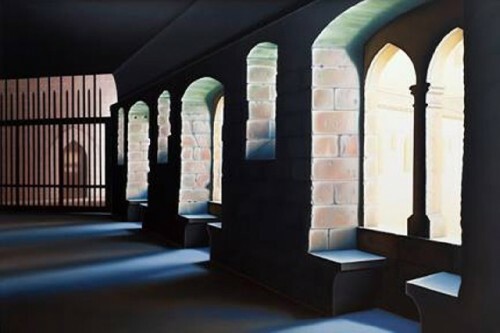 â€™Passageway,â€™ Paraza, France, oil on board, by P. Brantley. 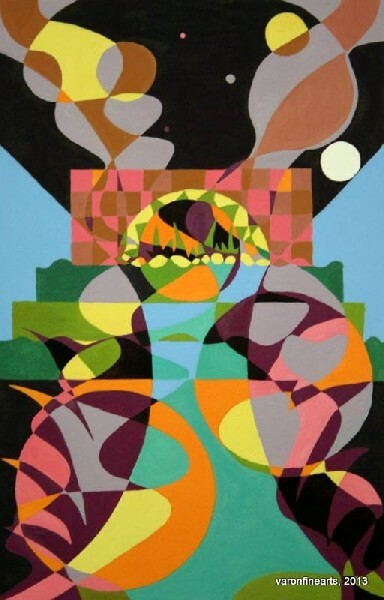 D. Van der Elst, painting titled as above. ’Montenegro,’ watercolor, the old stone town of Ulcinj by Sarah Sutro. 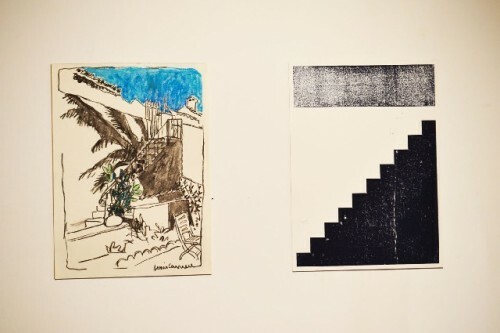 Le CLAP Gallery: â€™A Present for the Present.â€™ Denis Carriere and Gabriel Braun - with poem,' The Staircase' by JOMY. 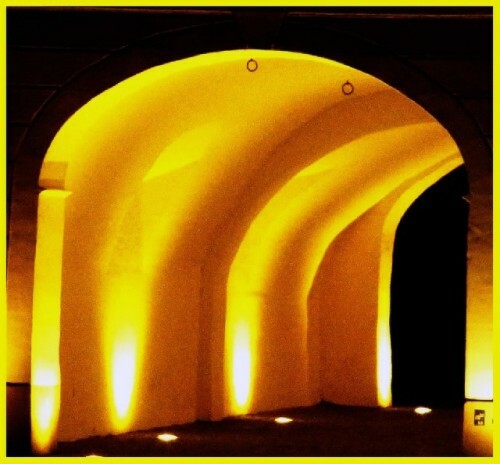 Suggestion of mystery in passageway by Marjorie Minkin. 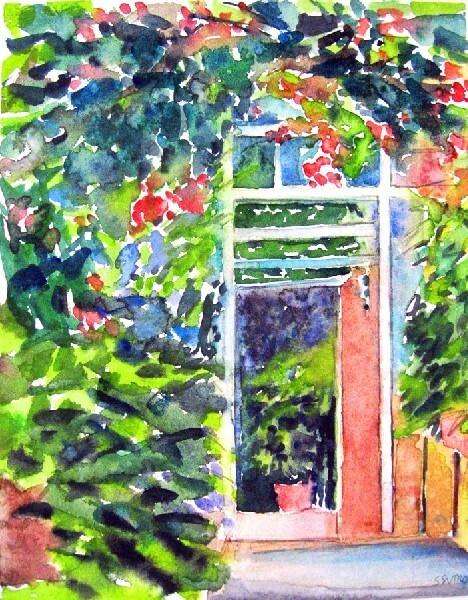 Wilma Rifkin’s sketch: ’Puerta Falsa,’ in Guanajuato, Mexico. 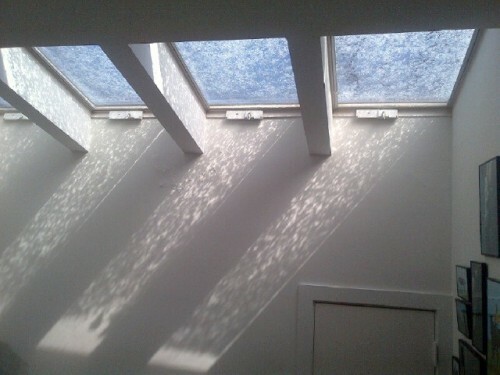 Dawn Nelson: ’Just, Just, just,’ Berlin, Germany. 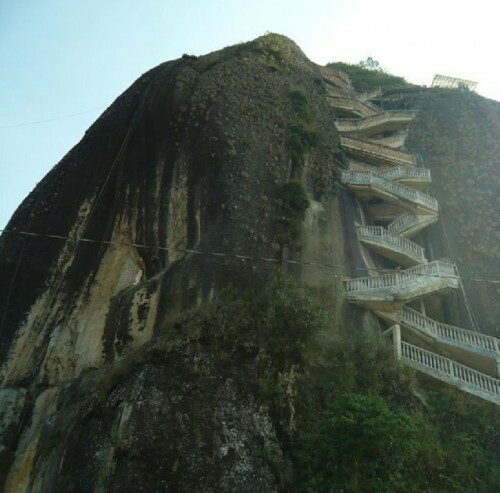 Zeren Earls: ’Staircase to El Penol, Colombia. 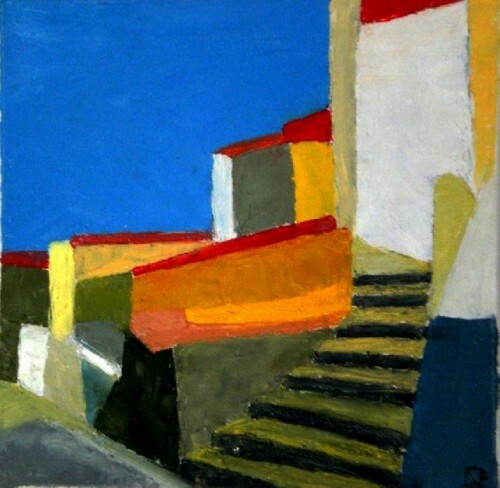 â€™Intentâ€™ (Lâ€™Escalier, Paris), oil, a painting of hope, by P. Brantley. 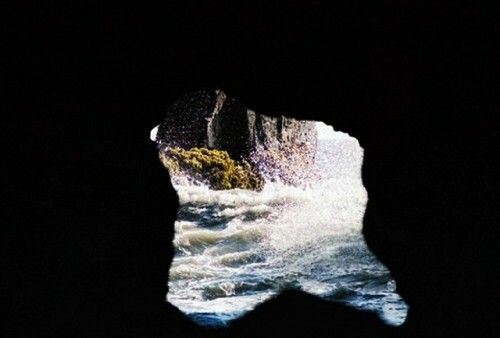 "Depth of Perception,â€™ by P. Brantley. â€™Apotheosis of Giuliano and Lorenzoâ€™ (Capella Medici, Florence), by P. Brantley. Elisabeth Ochsenfeld: It is an Opening to another World, the Historical and our Inner World - with Teodora and Cristian Stanca. 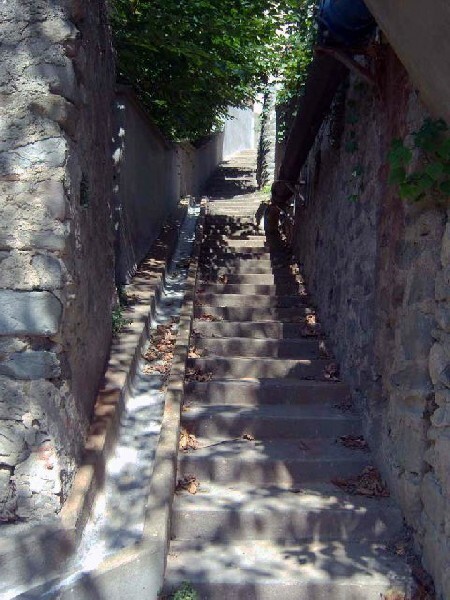 JM Delverdie, â€™La Habana,â€™ Cuba - stairs in the road leading to a part of the city that would not get flooded. With haiku by M. Roumengous. 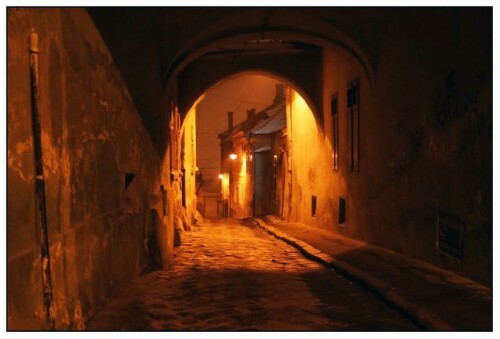 T. Stanca contributed images of Sibiu, Romania, where many passages lead from Upper to Lower Town. 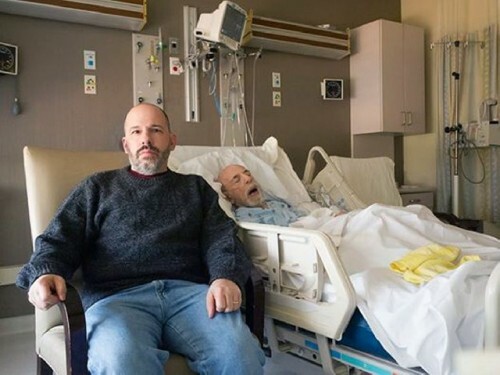 Photo: Dan Kamner. 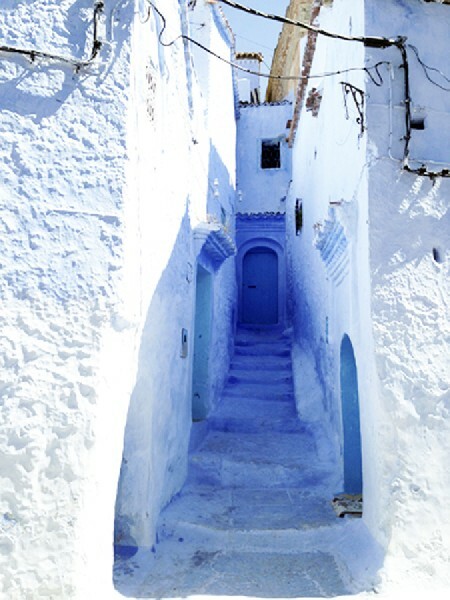 T. Stanca: â€™Goldsmith Passage.â€™ Photo: D. Kamner. 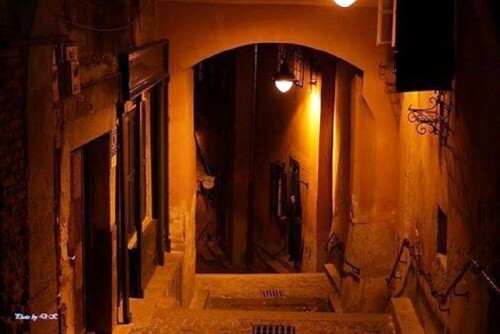 T.Stanca: â€™People, who love the passage ways, walk them at night.â€™ Photo: Louis Guermond. T. Stanca:’Kleinen Ring’ - photo: C. Stanca. 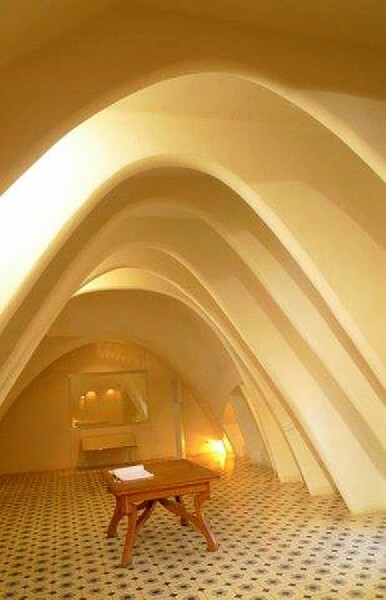 M.Favermann: Gaudi, Casa Batilo, 2nd Floor, Barcelona, Spain. 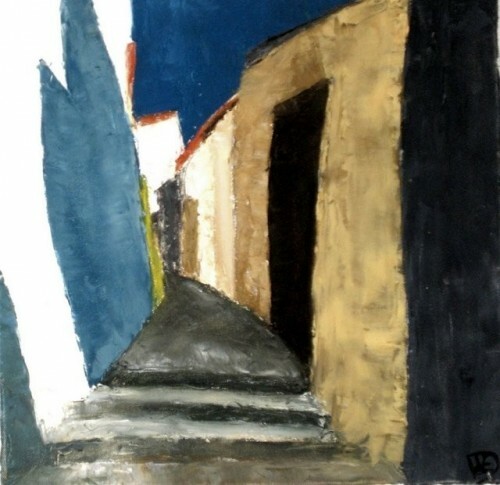 Karmela Berg: â€™At the End of a Dark Passage - There is Lightâ€™ - Israel. 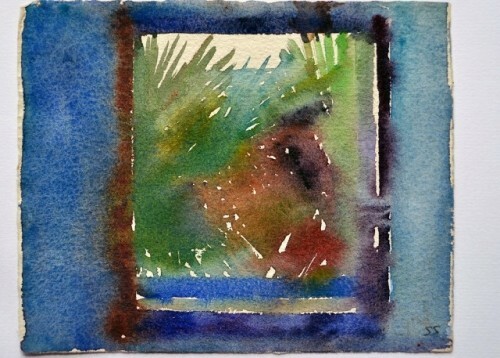 ’Window, Palms,’ watercolor by S. Sutro. Rafique Sulayman: ’A Passage to the Goddess Sarawati,’ Dhaka, Bangladesh. 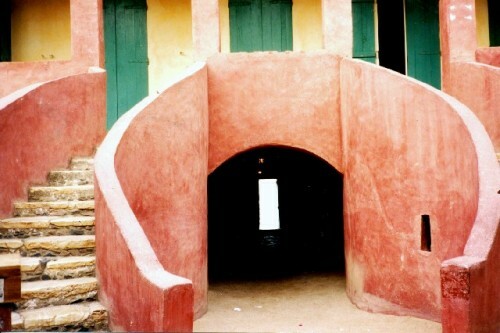 Michael Bedford: Goree Island, Dakar, Senegal. 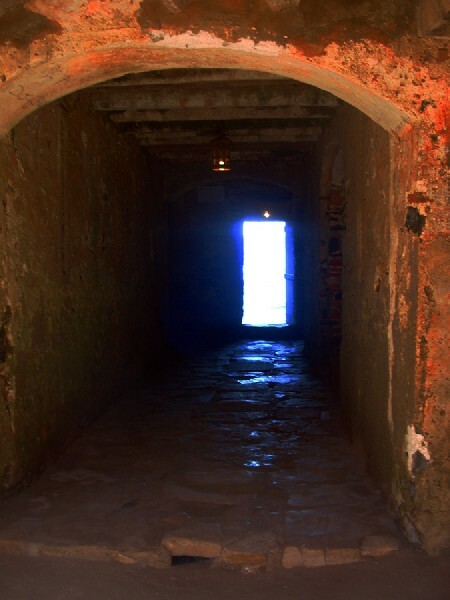 Charles Giuliano: ’The Door of No Return,’ Goree Island, Senegal. 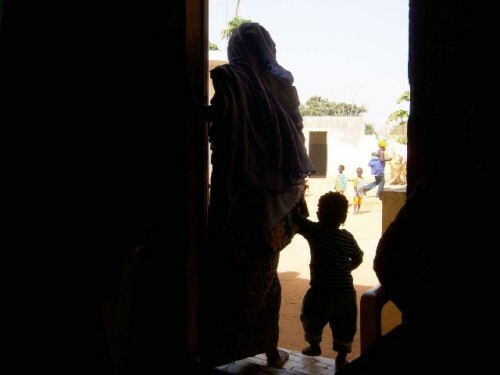 A. Hiemer: A matriarch, holding her great-grand son, standing in their compound doorway in Senegal. 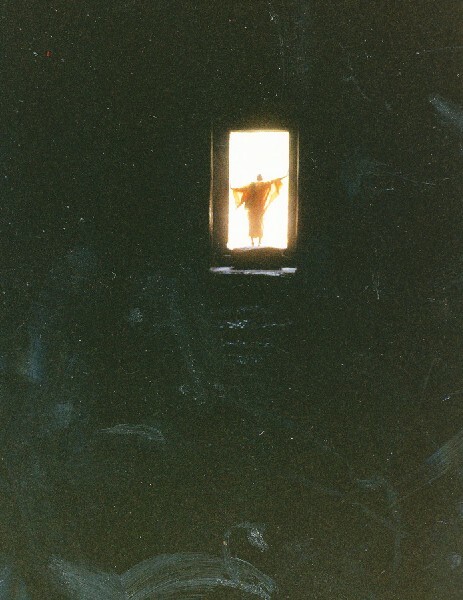 M. Bedford:Buddhist monk student framed in the doorway from within a temple, Angkor Wat, Cambodia. Robert Morgan: ’Portofino II’ - acrylic painting. 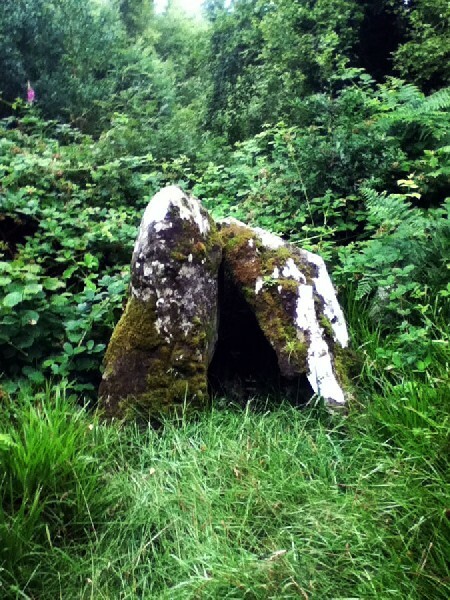 Marie Cowgill: â€™Chambered Cairn,â€™ Ancient Grave, from Augher, County Tyrone, Northern Ireland. 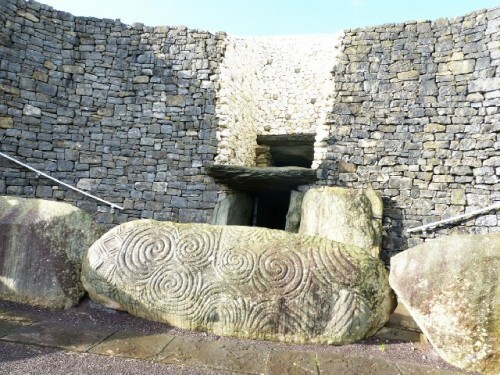 A. Hiemer: 5000 year old spiritual site, Newgrange, Ireland. 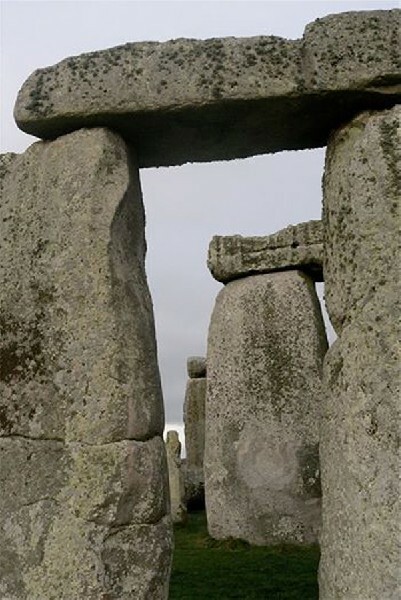 M. Favermann: Stonehenge, England, photographed on a cold morning just before the Winter Solstice. 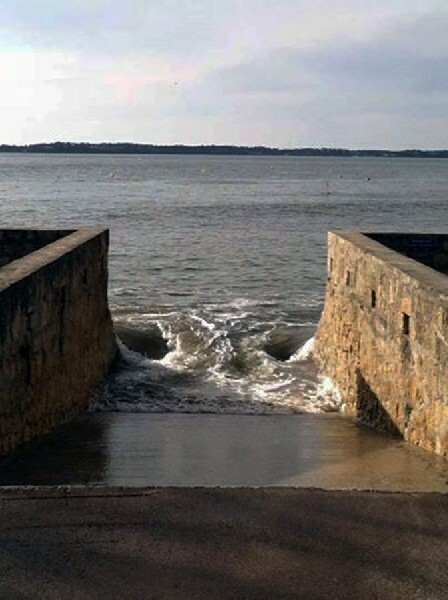 GhettaHirsch: Arcachon Bay, Atlantic Ocean, Southwest Coast of France. 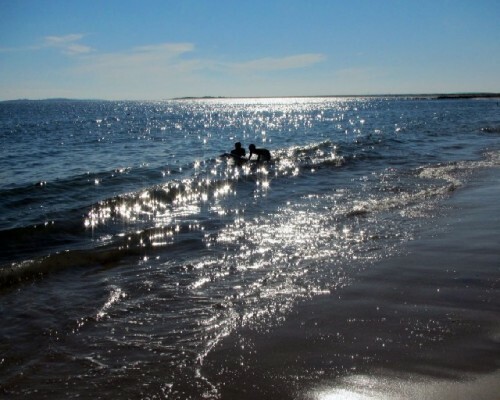 Ann Salk Rosenberg: Sam and Shane playing in the Atlantic Ocean, Watch Hill Beach, Westerly, Rhode Island - a magical moment! 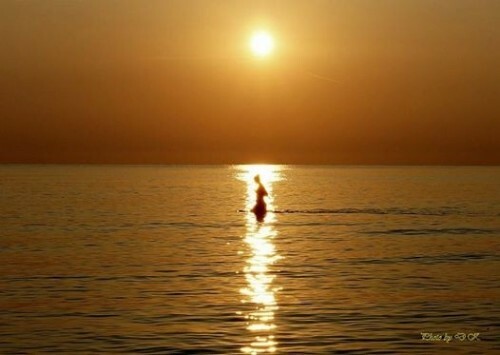 T. Stanca: â€™ The Secret Passage to My World, Guided by the Sun.' Photo: D. Kamner. Phil Sellers: A new life will lead to new friends and new adventures. 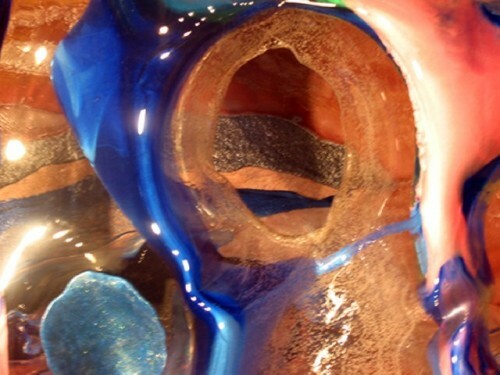 ’Tunnel View,’ inside the layers of a Lexan piece by M. Minkin. 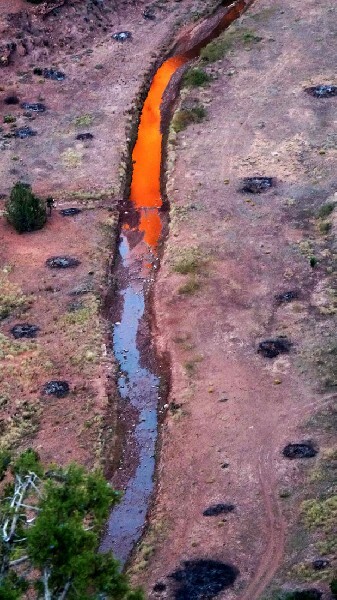 Mary Louise Giuliano: An Arroyo, a dry river bed, photographed while traveling across America. Canyon de Chelly, ancient home of the Anasazi. 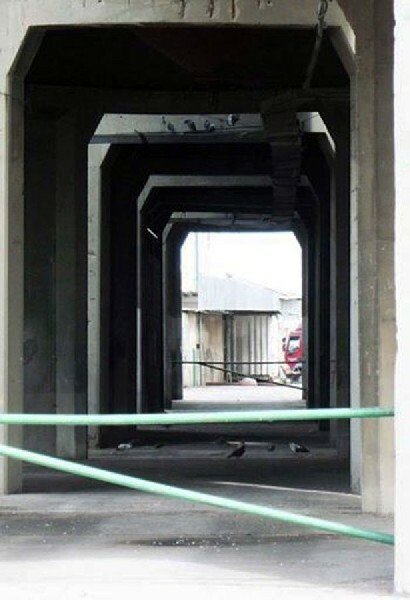 Lyudmila Dakhova: Circles or holes indicate what we can see and know - then lead to the unknown... Ukraine. 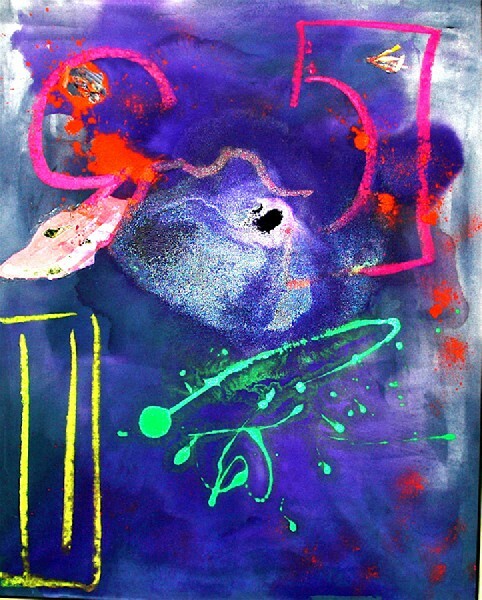 Corinne Varon Green: ’Interdimensional Passage,’ watercolor on paper. 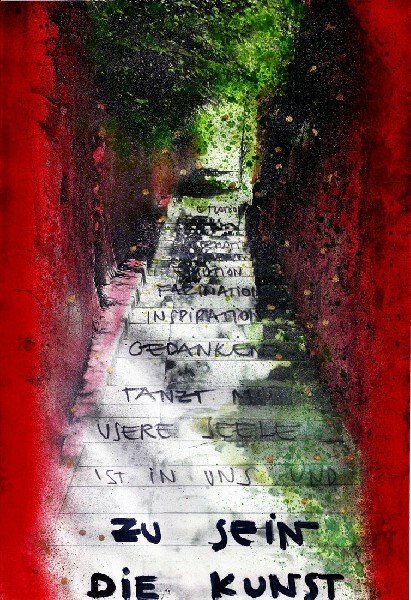 D. Nelson: I painted this piece to the passages I traveled through in loosing my parents. ’Steerage to Ellis Island,’ ships passing, by Arthur Yanoff. 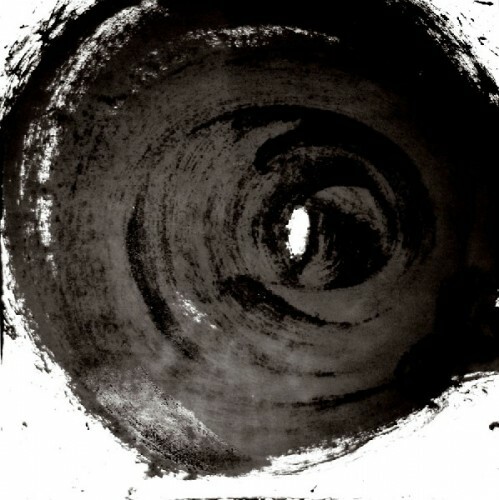 Aldo Tambellini: ’Black 5’ - my secret passage way into the cosmos through a black hole. Memories are a peculiar thing. / They cannot be relied on to tell the truth! 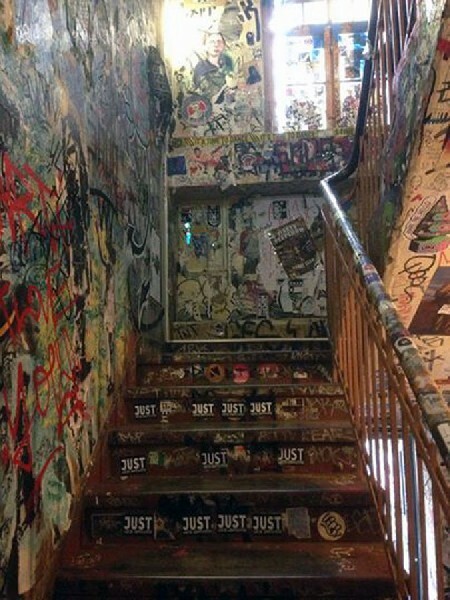 Surely my Passage Way - were not stairs / Pennie pointed out otherwise. / She became the realist /In this instance. 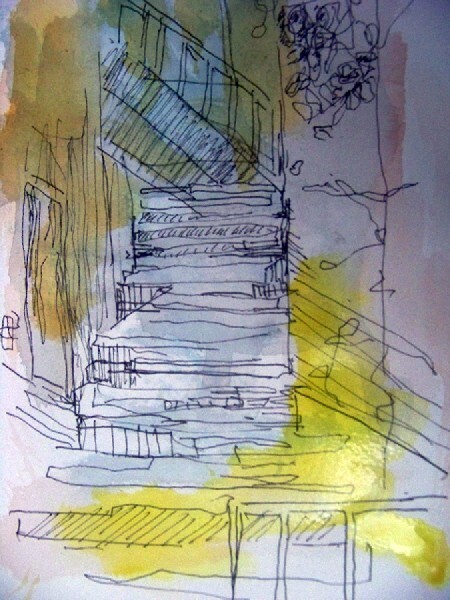 She painted a Passage Way beautifully / As stairs that led from a nearly hidden entrance / Down to a level on a Paraza hill / Just above the Canal du Midi. 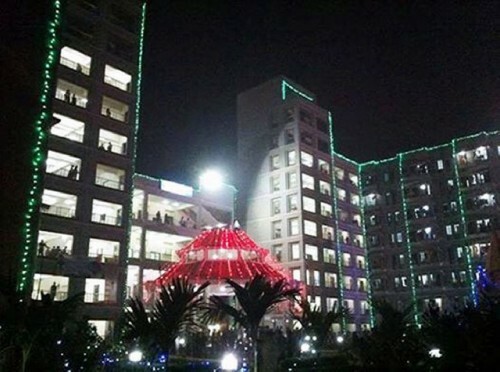 Now, the photograph has been altered / Photo Shop is the current technology. 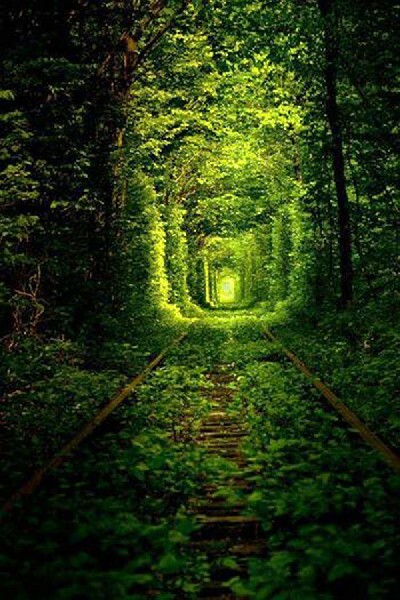 / Leaves have been removed / Along with other minor changes / So that the ‘Secret Passage Way’ appears to be real. Photos are only moments in time. 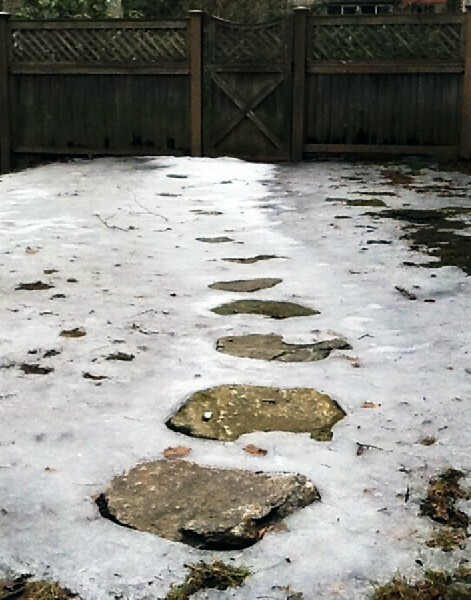 When I return to my original Passage Way in my mind / My memories serve me well. 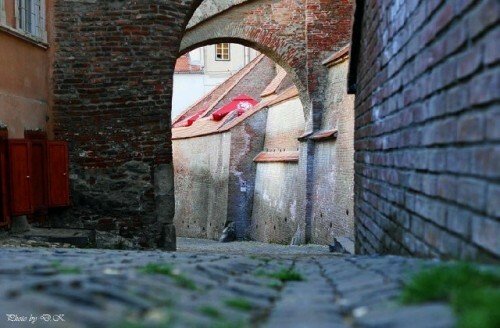 Where do you find your ‘Secret…’ / Real or imagined / Show us! 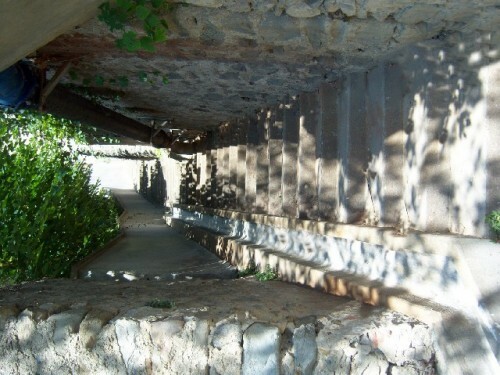 During four months we called for contributions in the photo and word project ‘A Secret Passage Way’ via personal invitations, emails and on two Face Book pages. More than forty participants submitted poems, photographs, paintings, watercolors, drawings, a jacquard tapestry and a Lexan sculpture. 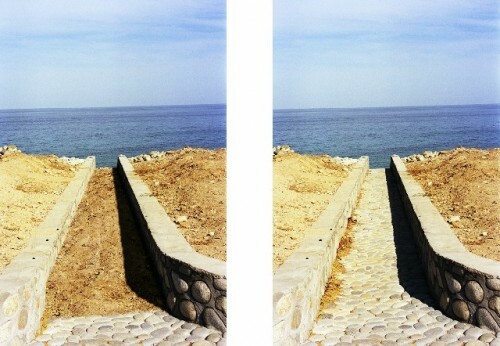 Some 60 photographs span places around the world and many have taken the project into imaginative territories. The Face Book-project shows mostly the string of photographs with notes as they were posted from February to May 2014. Here, we have attempted to cluster the contributions expressing similarities or opposites, the yin yang of minds and thoughts. Actually on Face Book we had to re-post several contributors, because jpgs. 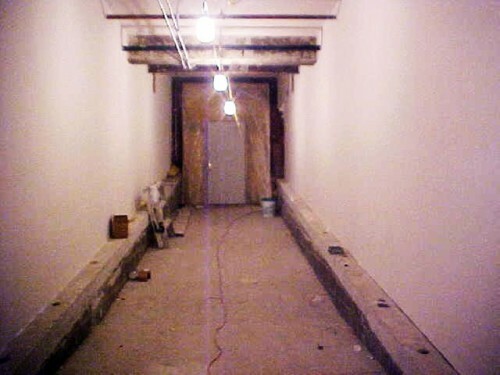 mysteriously vanished – whose handy-work, I wonder? Many ‘likes’ and comments can be read on both FB-pages and we exchanged emails and conversations with participants. It has been a lively time expanding the project. Included are memorable notes with the photographs, space permitting, a haiku and a poem that was part of a well fitting project at Le C.L.A.P, Galerie d’Arts in Paraza, France. 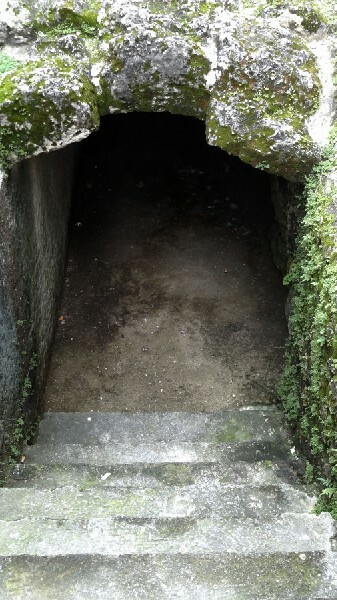 le flot apeuré / lèvres serrées / des sombres havanais. frightful flood / somber Havana / with their tight lips. That connects the Men of below to the Men of above. We are thankful for a truly collaborative project that has enriched us all, participants and viewers from around the world. "What an adventure! I felt like I had embarked on an exciting, worldwide journey. The slide show of images is like a passageway itself - only no longer \'secret\' since Astrid has presented for everyone to see. Thanks - great job!" "Astrid, I have never seen a more exquisite collection of images. 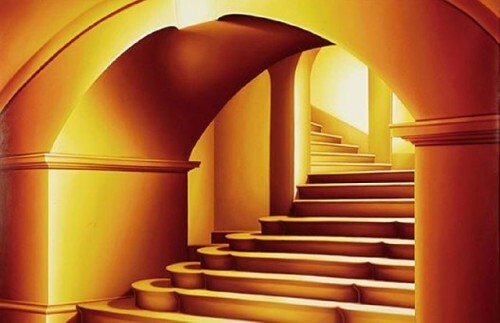 It is spiritually satisfying to journey through them. 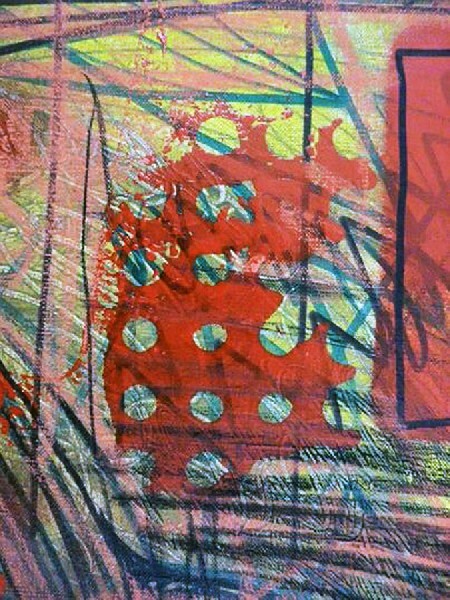 Your juxtapositions enhance each other, so that the images themselves form affinities as we do in life. Your arrangement toward the final crescendo of profound abstract statements of the human condition is breathtaking. Thank you for orchestrating so richly this sublime pursuit of the commonalities of people of all the world. Brilliant!" 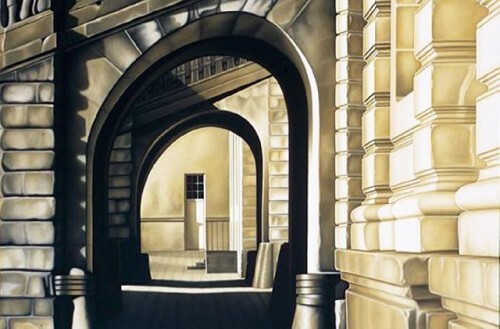 "Its a fascinating portfolio of images about doorways as a metaphor of our lives.Walkways down halls; doors of dreams and pain; imaginative stairways." "Thank you so much! For the opportunity to participate, but most of all, for the beauty of this powerful journey through space and time and the imagination via a stunning array of images"
"It's a wonderful exhibition, poignant and ethereal. " "Wonderful images; would be great to see them in large format as a wall exhibit. Great job Astrid." "Wonderful idea and beautiful images!" "Besides a digital exhibit, this should be a traveling show around the world! 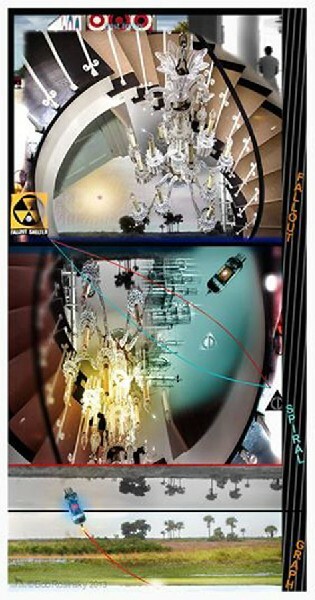 It would be great in the form of blowup images and large printed poetry for small museums, galleries and Kunsthallers. Terrific idea and project, Astrid. Congratulations. "